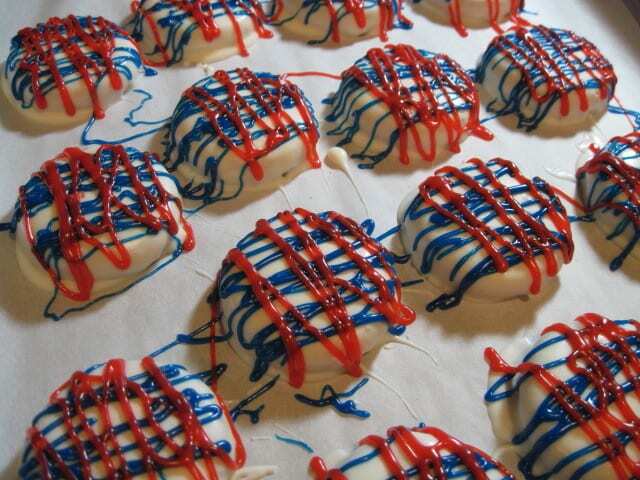 I wanted to make a really quick, easy and festive dessert for the 4th of July and this is what I came up with. It’s not so much of a recipe as it is a method for turning store bought cookies into something a little special and a whole lot more fun. 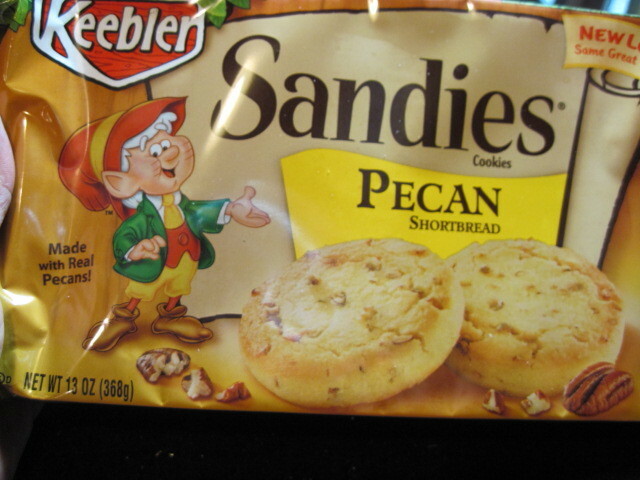 I used pecan sandie cookies because I thought the flavor would marry nicely with the white chocolate (and I like those little Keebler elves), but you can use whatever type cookie you enjoy. 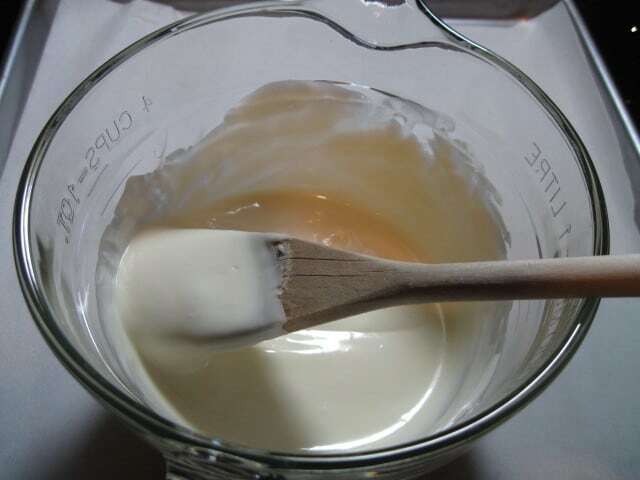 -Freeze your cookies for at least 1 hour before dipping. This helps the chocolate set up quickly after the cookies have been dipped. 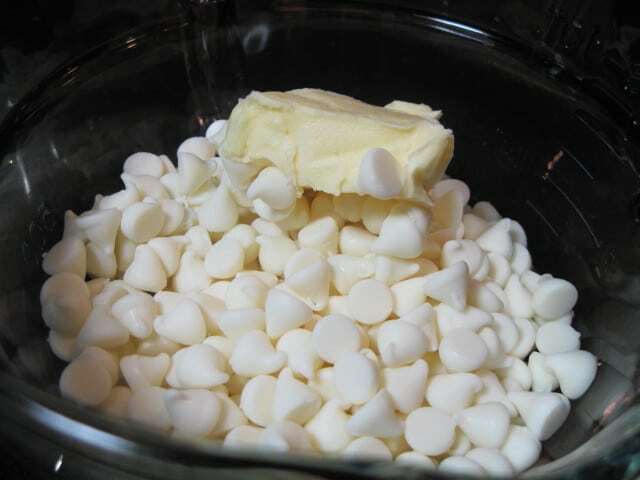 -In a microwave safe bowl, and on low power, melt 1 cup of the chocolate chips and the Crisco in your microwave. Check on it often and stir it occasionally until the chocolate is smooth and totally melted. -Using a fork and working with one cookie at a time, dip each cookie, turning it over to coat both sides nicely with chocolate. 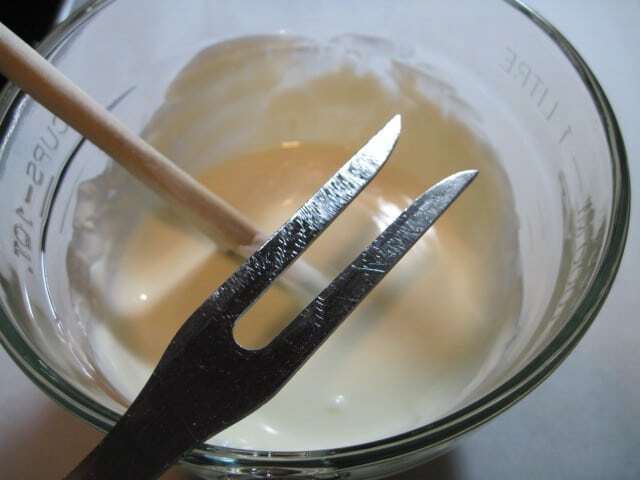 Using the fork will allow the extra chocolate to easily drip back into the bowl as you coat the remainder of your cookies. 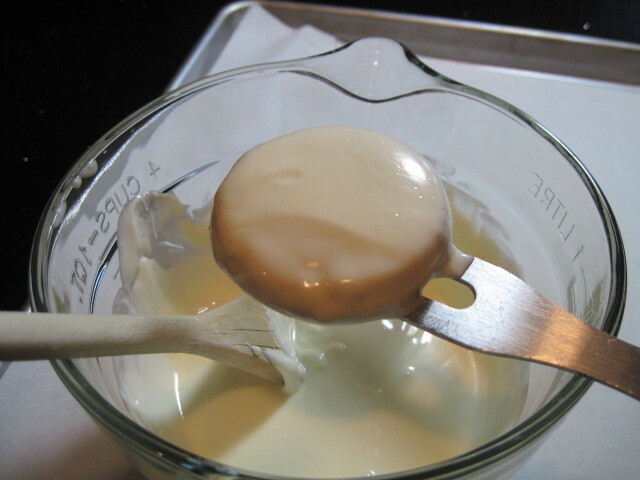 -With the remaining 1/2 cup of morsels, melt them in your microwave again, but this time use 1 tablespoon of milk to keep the consistency thinner and better able to drizzle. 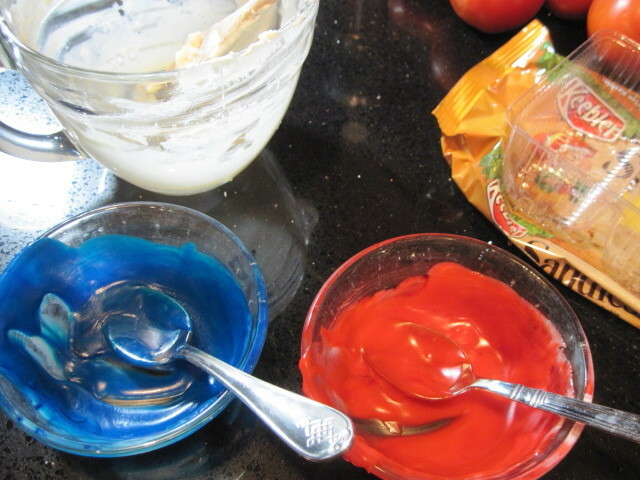 -In two separate small bowls, divide the chocolate and color them with the red and blue food coloring. ﻿-When you’ve completed your first color, do your second color in the opposite direction. 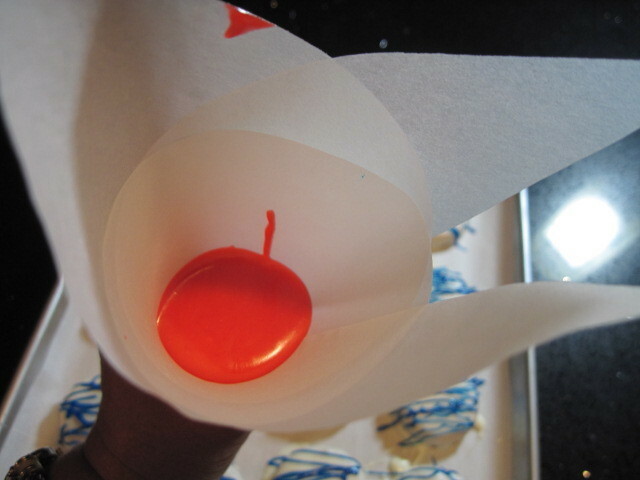 -Once you’ve completed your cookies, pop them into the freezer to fully set and harden. 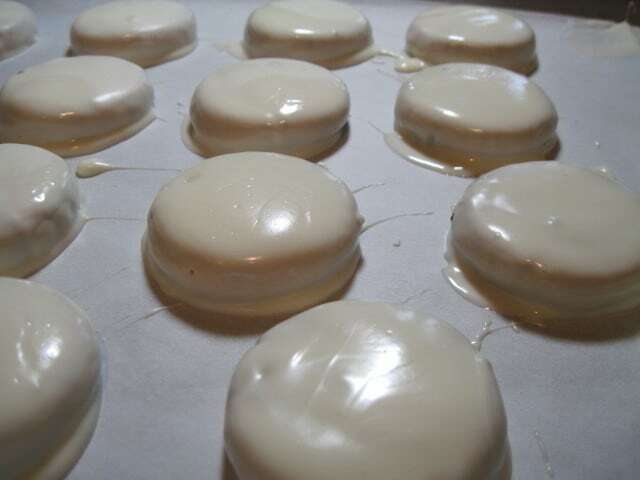 -10 minutes before you’re ready to serve them, remove them from the freezer and allow to thaw slightly. ﻿Happy 4th of July!!! Be safe and have fun! Roasted Radishes - Oh My! How yummy! 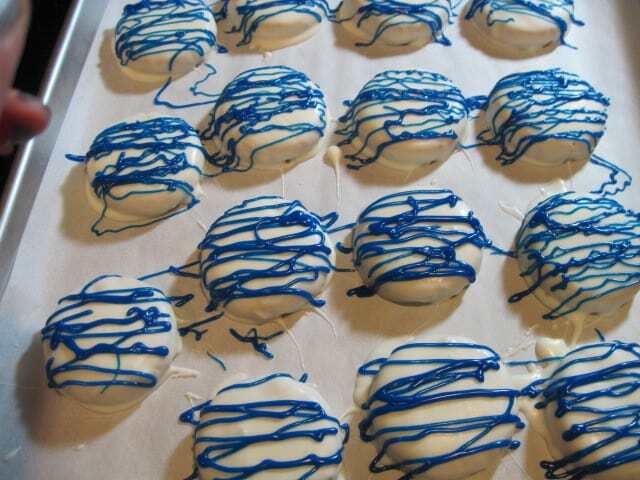 I've only seen this done with Oreos, but I definitely prefer the pecan sandies! Great post! 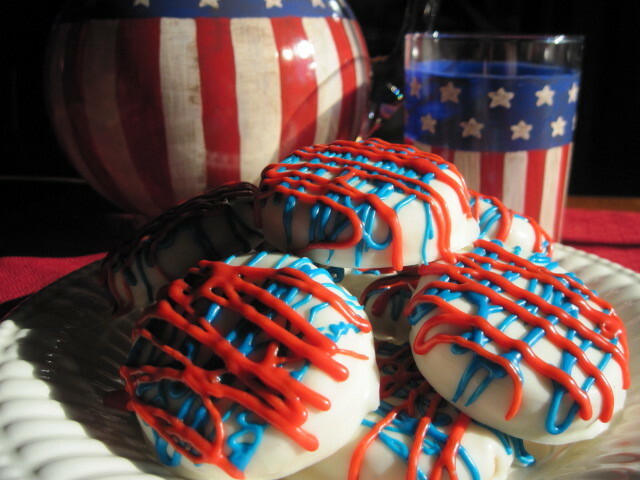 Cute cookies for the 4th! Hope you had a great long weekend.